We are honored to participate in the POW/MIA Chair of Honor program by providing chairs at no cost if the venue hosts a dedication ceremony to raise awareness for this cause. We are proud to partner with POWMIAChairofHonor.org to supply chairs for their POW/MIA "National Chair of Honor" program. 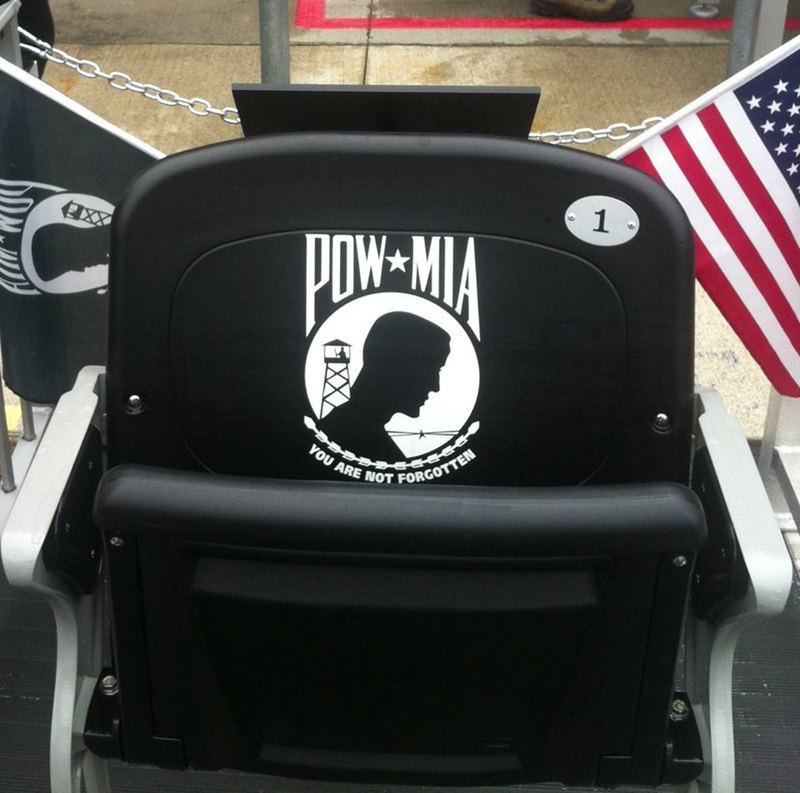 A POW/MIA chair in any location is to remain perpetually empty to help people remember that even though our soldiers are not here, there is always space for them. POW/MIA Chairs of Honor can be found in public spaces ranging from professional sports stadiums to small town city halls, and everywhere in between. Chairs have lead-times from order to delivery, which run 4 – 6 weeks depending on product demand. Hussey Seating will donate the chair if you commit to creating a local PR event around the chair dedication and the POW/ MIA mission and then share the results with us. For more information and the necessary forms, email a request to pow-mia@husseyseating.com. Download more info about the Donation Program here.